Summer may be drawing to a close, but don't panic -- the arrival of fall is the perfect excuse to brush up on the new season's beauty trends. Dewy skin was huge on the Autumn/Winter 2018 catwalks; here's how you can channel the look come September. Glossy skin is a versatile beauty trend in so much as it can be as daring or as subtle as you prefer. The catwalks of New York, London Milan and Paris saw several major fashion houses go all out with the look, with the models at Gareth Pugh sporting slick, drenched-looking skin, while at Anrealage, the models' complexions practically glittered under the lights of the runway. This bold version of the look can be achieved multiple ways, either by using moisturizer as a highlighter for a clear shine that looks as natural as possible, or a shimmering highlighter for a little extra glamour. Super-hydrated skin is the key to getting this look right. However, if a wet-look complexion isn't for you, consider channeling the dewy, sunkissed glow seen at Ralph Lauren and Alice Temperley, Roksanda and Molly Goddard, where the backstage makeup artists used highlighter and shimmer sticks somewhat more sparingly across the cheekbones, temples and brow bones. 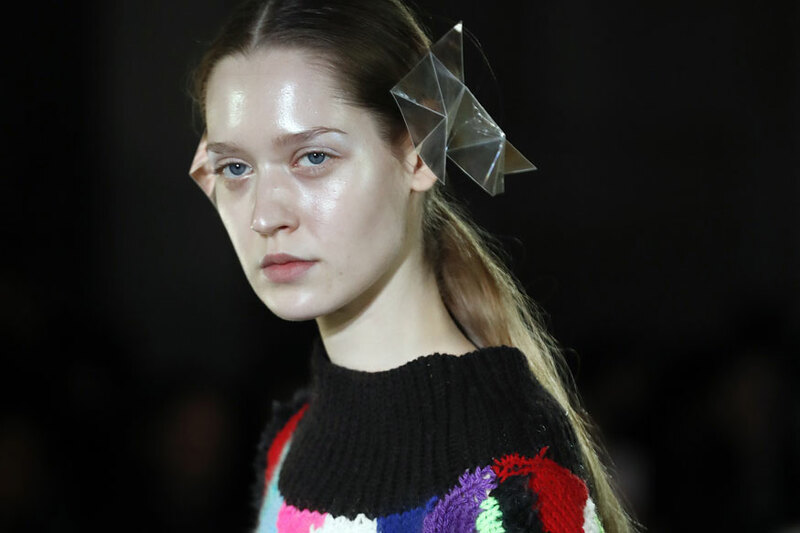 For a low-key yet edgy spin on the trend try experimenting with an eye gloss, as seen at the Poiret show, or opt for a classic lip gloss for a shot of shimmer, and glow away.